Slots LV falls in the list of most famous and reliable online casinos that accepts players from various countries including USA. 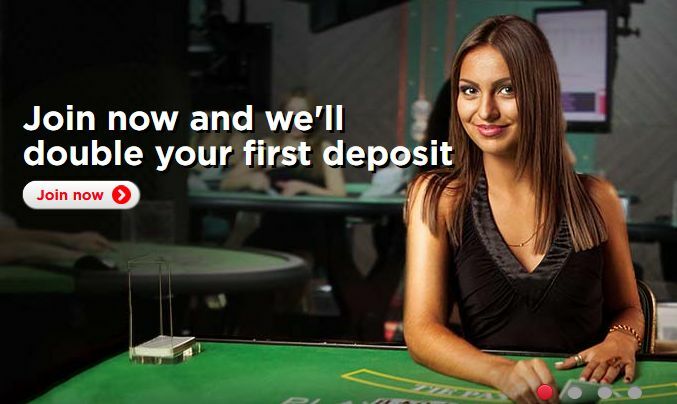 The casino not only gives you high welcome bonus but also trust, they make you feel your money is in safe hands. This Slots LV review will help you know some more important things about the Slots.lv online casino. Slots LV, owned by Lynton Limited Casinos, is a legal and licensed online casino. It is licensed by Kahnawake Gaming Commission. Some other huge and reputed casinos like Bovada casino are also licensed by Kahnawake Gaming Commission. You can be sure about this. You can reach out there support for any question via email ([email protected]) or by phone (+1-855-446-3770). The games at Slots.lv casino have the ability to please almost every user that visits them. You may see some popular and familiar game titles on the site since it uses renowned companies for it’s hundreds of games and table slots, Realtime Gaming and Net Ent are two of those companies. Slots LV uses multiple software providers which are well known in the industry, this assures that you will get here interesting game varieties and these games are good enough to bind on the site for long. Not everybody would prefer to play online casinos on their computers, Slots LV knows this and it has made the casino website totally mobile compatible and mobile friendly. The best part is that it doesn’t require you to install any other third party or their own software, apps or tools to play on mobile, the casino games can directly be played on the website. They will offer you games on mobile devices which are compatible for it, so you may see some lower number of games while operating on mobile phones since every game is not compatible for smaller screens. Still, you will find very interesting and popular games on mobile devices also. Playing on mobile phones is easy, just visit their official mobile website, get your account or login if you have already and start playing. It offers $5000 bonus and $2000, here is the exact breakdown and games you can play on with the bonus given. Minimum points to maintain the level: 75,000 for every 3 months. Additional benefits: VIP Service, Birthday gifts, exclusive offers. Minimum points to maintain the level: 500,000 for every 3 months. Additional benefits: VIP Service, Birthday gifts, exclusive offers, personal VIP host. There are not many cons about Slots LV, all we found missing was, it does not have live dealer games like that of Planet 7 Casino. Slots LV is a reliable, trustworthy and legal online casino that gives huge welcome bonus, wide variety of games and slots, high and fast payout and a genuine customer support. You can definitely try this one. Slots LV is a reputed online casino that is licensed by the same company which license other big online casinos. The casino is in the industry since years and they live up to their name and reputation. Slots LV is among the best casinos available today.